A man has a garden which is 10 square meters (10 m by 10 m). He would like to enclose his yard in a fence. The posts for the fence will be 1 meter apart. How many posts will be required to enclose his land?. 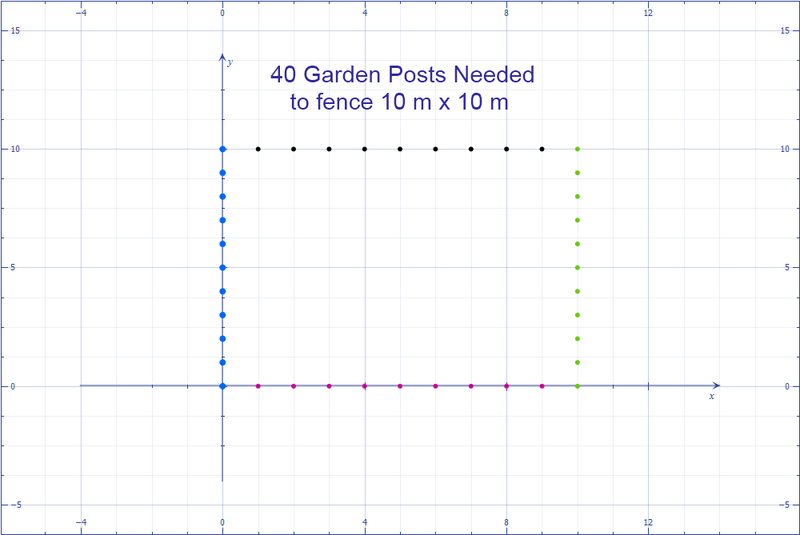 The number of fence posts needed can be calculated by dividing the perimeter of the garden by the spacing of the fence posts. Finding the perimeter of the garden. Finding the number of fence posts required. Cancel like terms in the numerator and denominator. That includes the units of "METER". notice that the only units left are the units "fence posts"